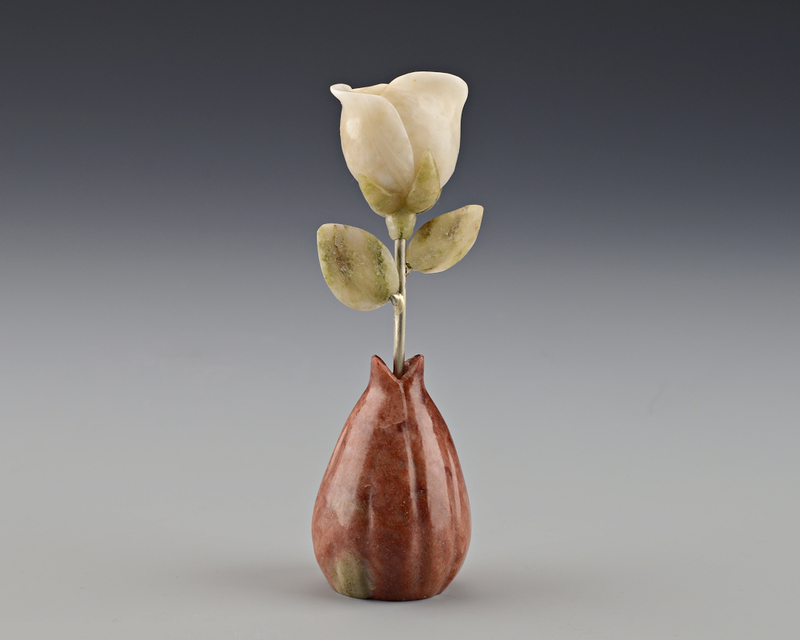 We hand carve our sculptural stone Flowers from a variety of Alabaster. 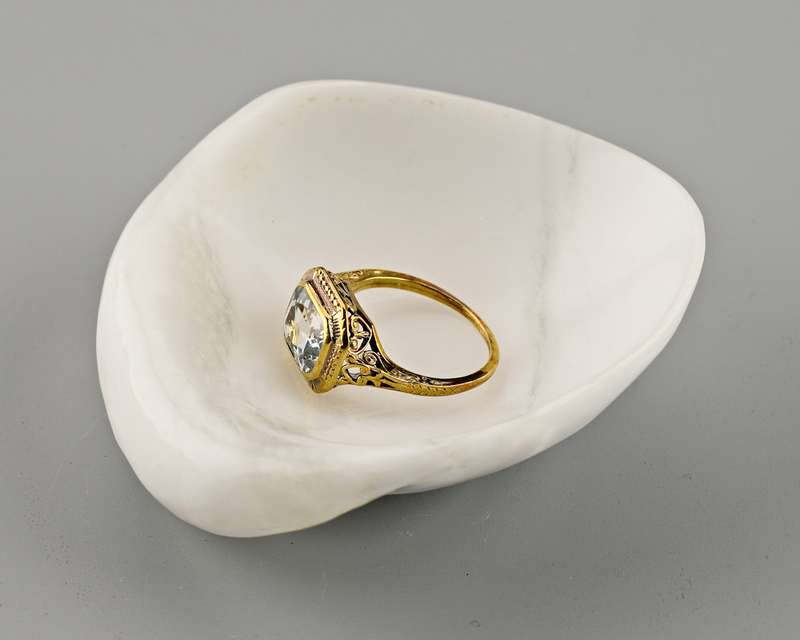 The stone we use is quarried from all around the world as well as from the United States. 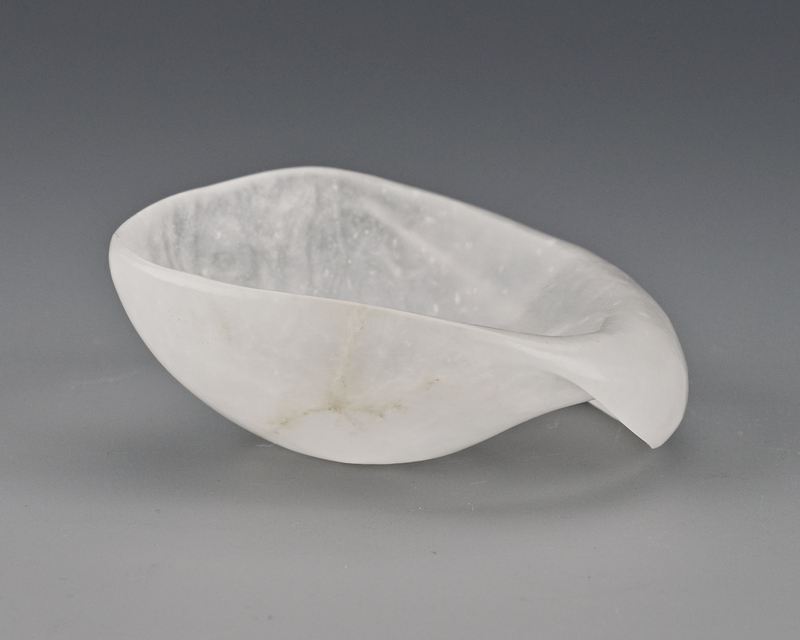 Each block of Alabaster stone has its own unique individual qualities of veining and color. 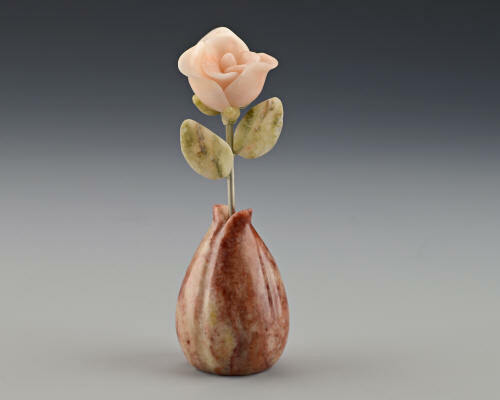 As no two pieces of stone are exactly alike, neither are any of our flowers. 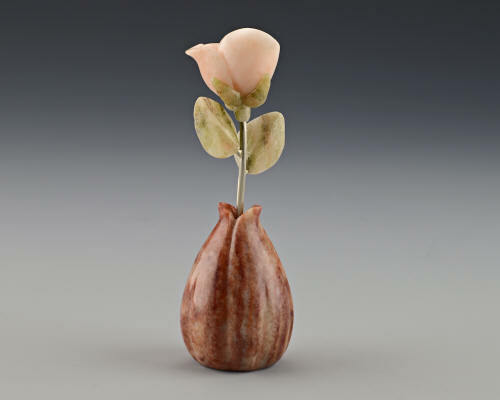 Each flower is one of a kind, signed and numbered. 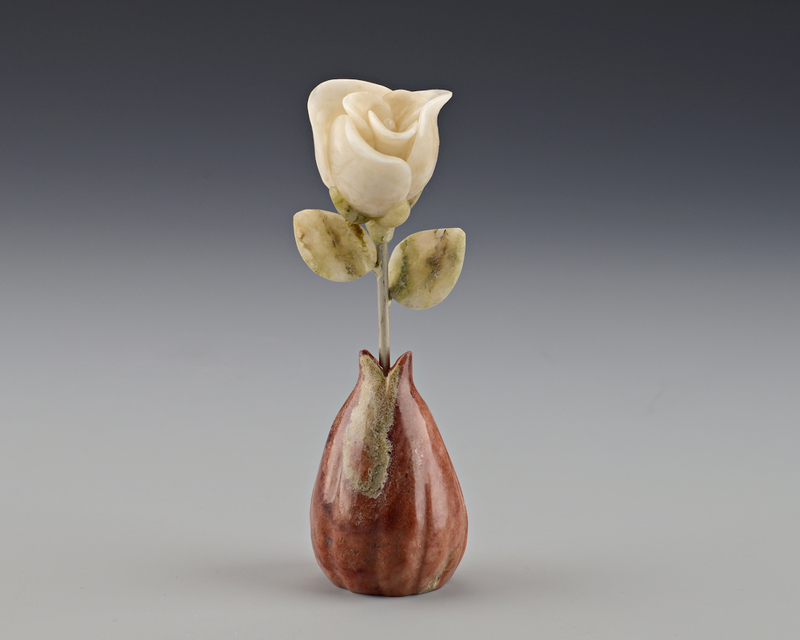 Petite carved Alabaster rose on a nickel silver stem. 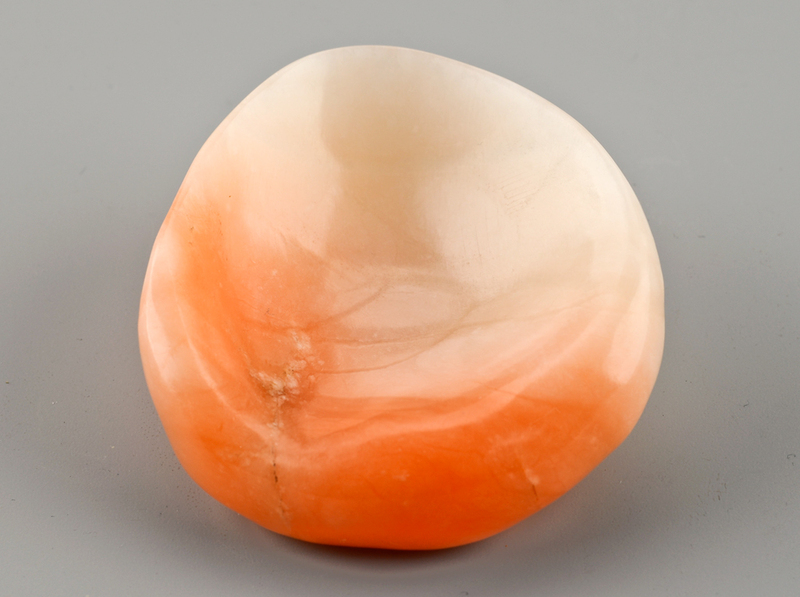 This is the natural color of the stone. 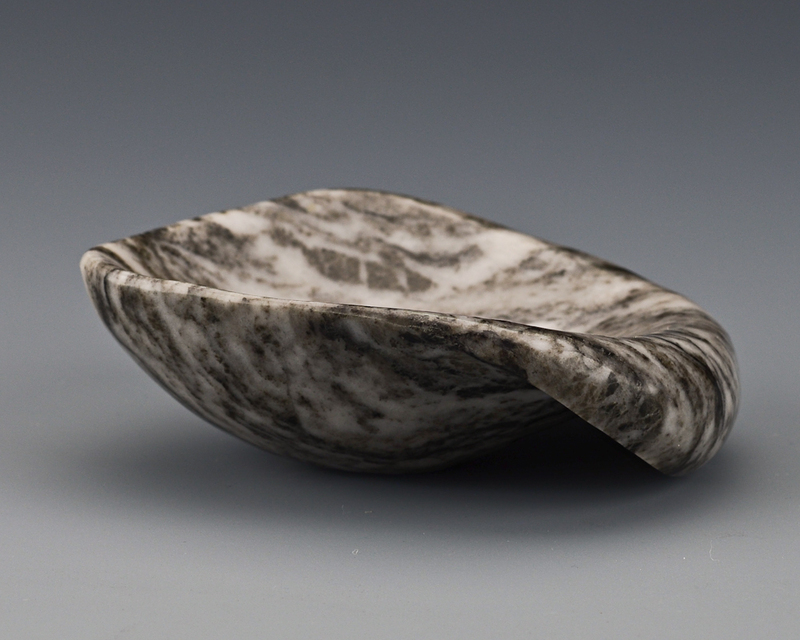 Starting in the center, each of the Alabaster flower petals are carved to fit together to create the flower. 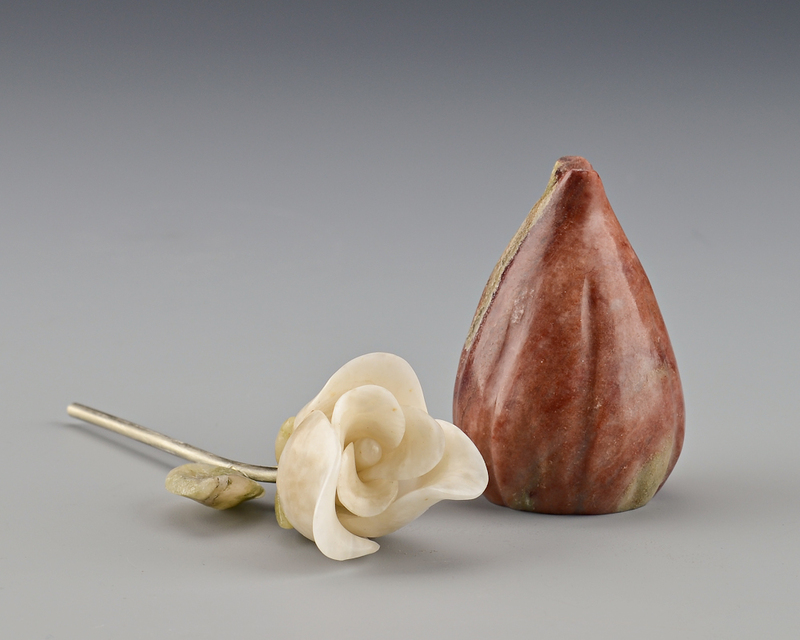 Each small sepal is carved to the contour of the rose. We soldered pins to hold the green Alabaster leaves. 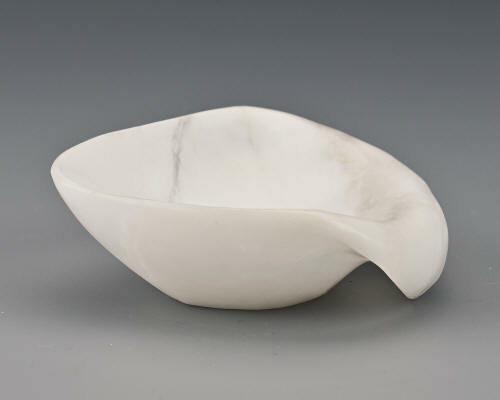 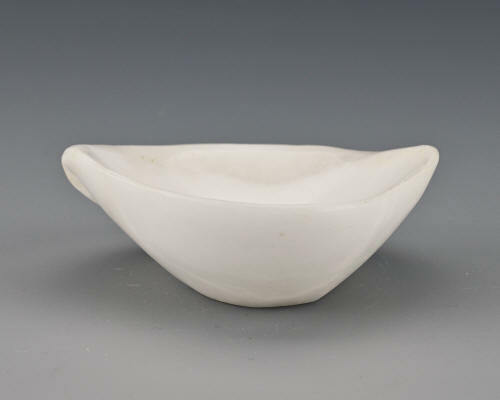 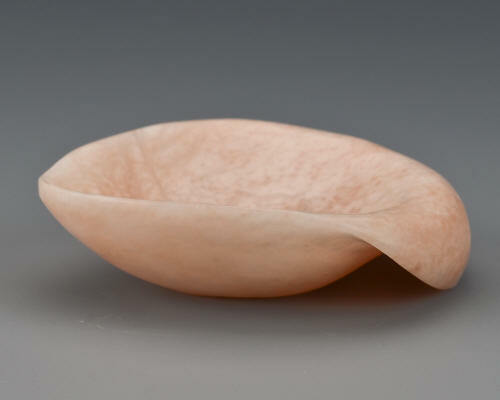 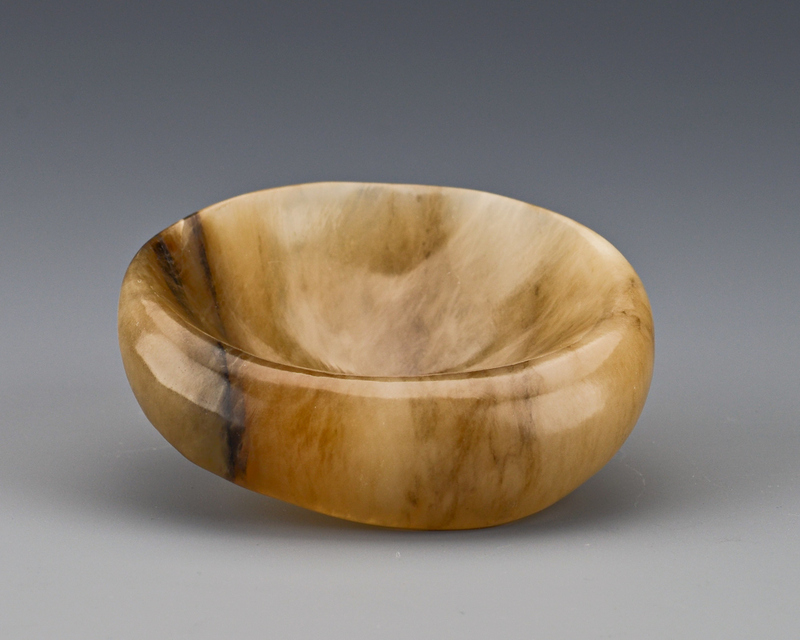 The organic shape of the Alabaster base gives life to the flower. 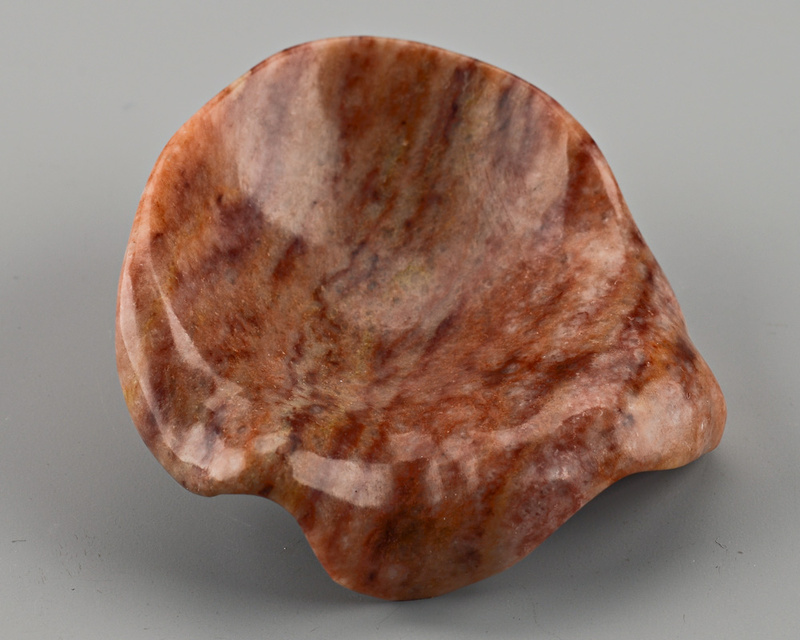 2 3/4" x 2 1/2" x 3/4"
This is the natural color of the stone. 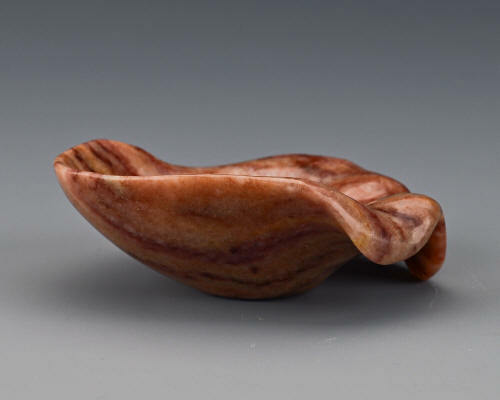 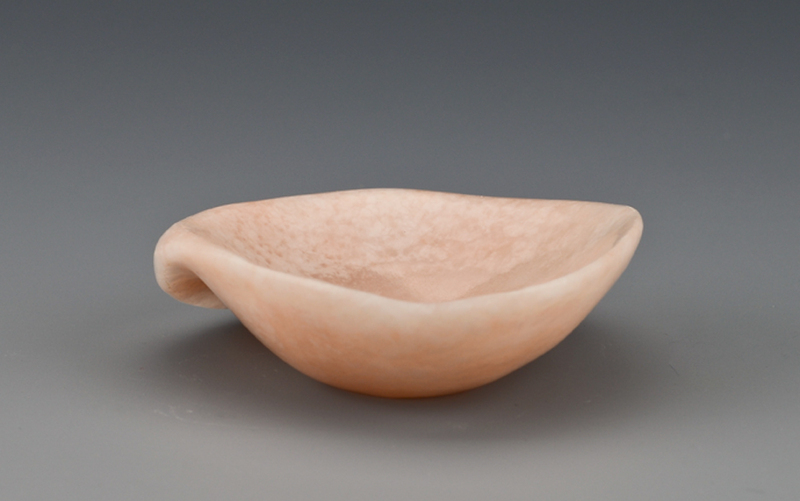 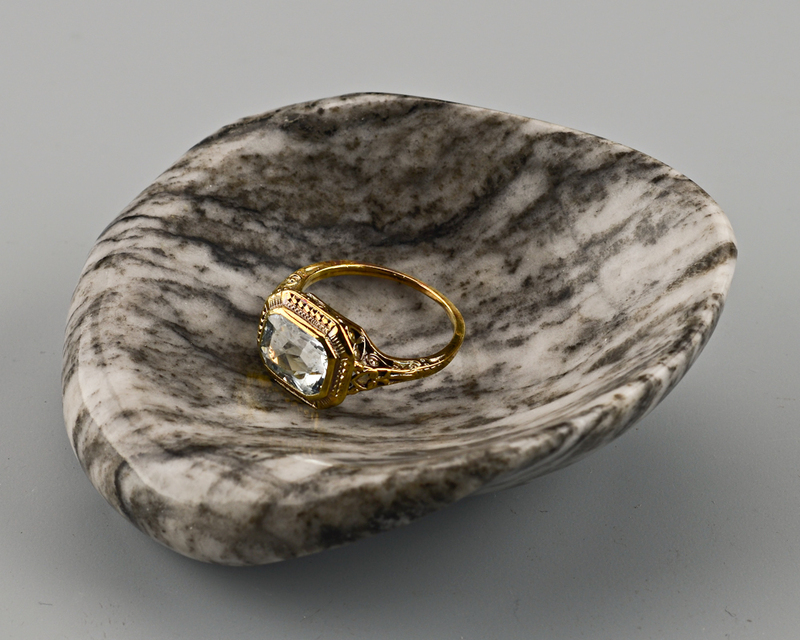 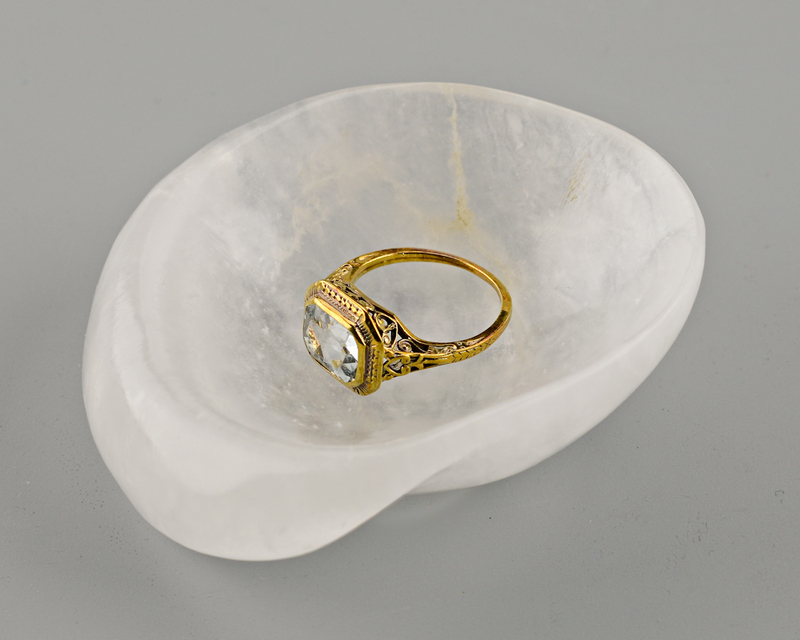 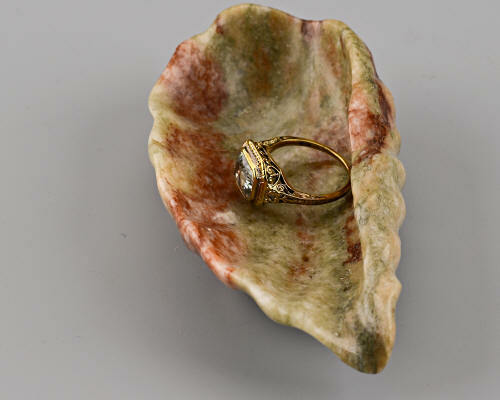 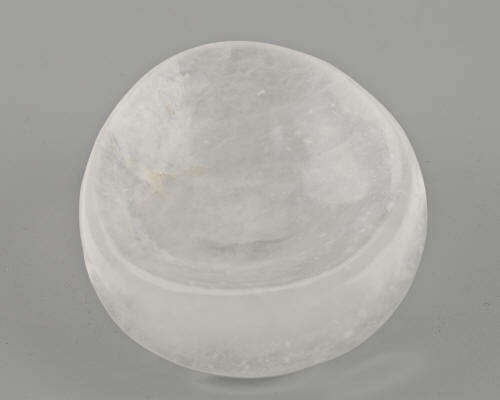 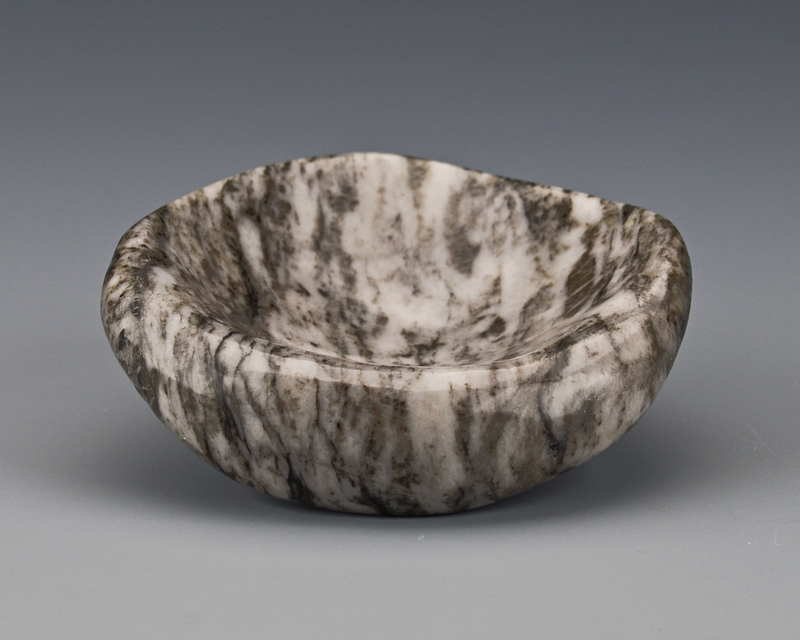 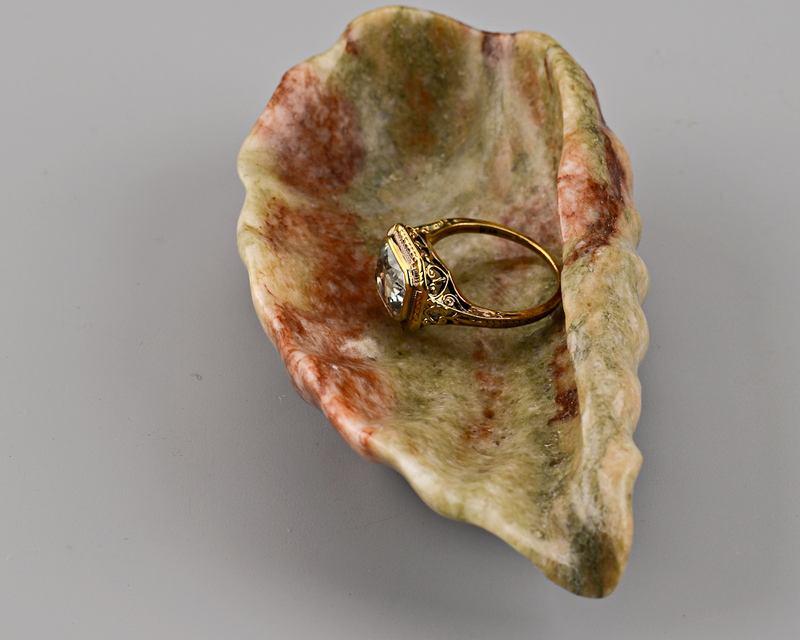 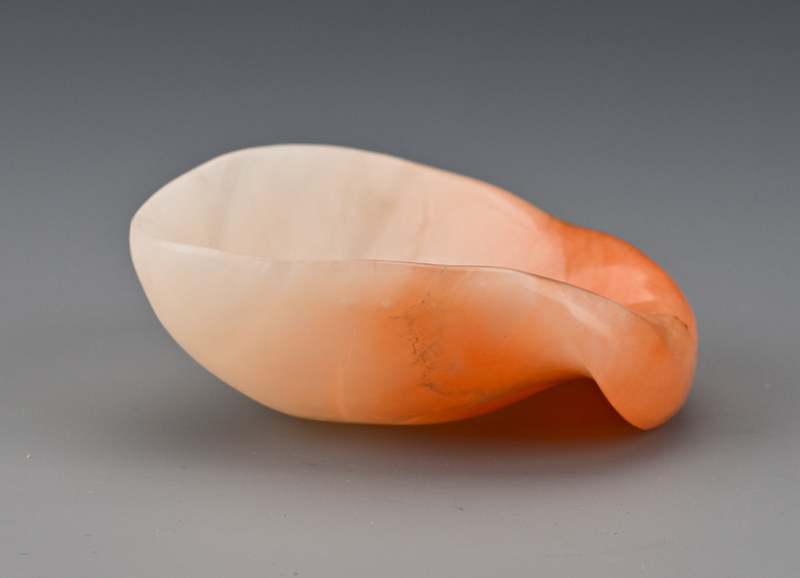 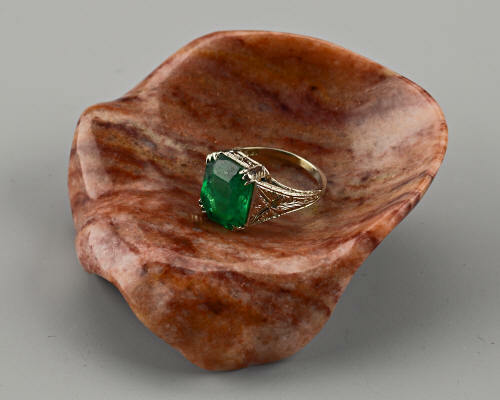 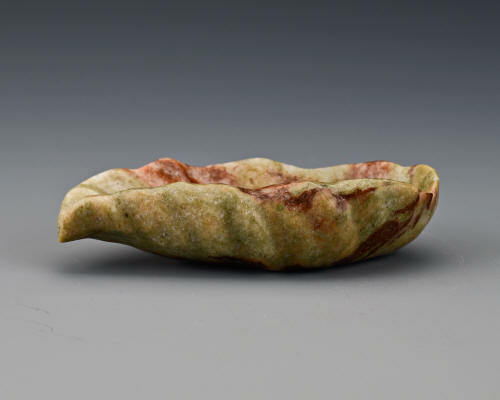 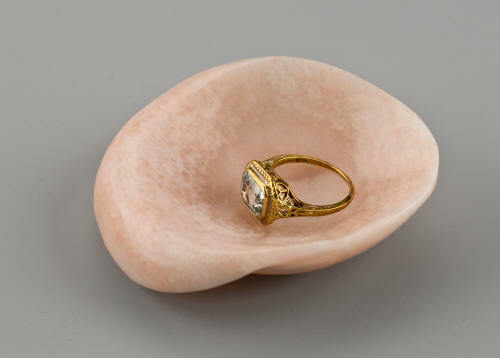 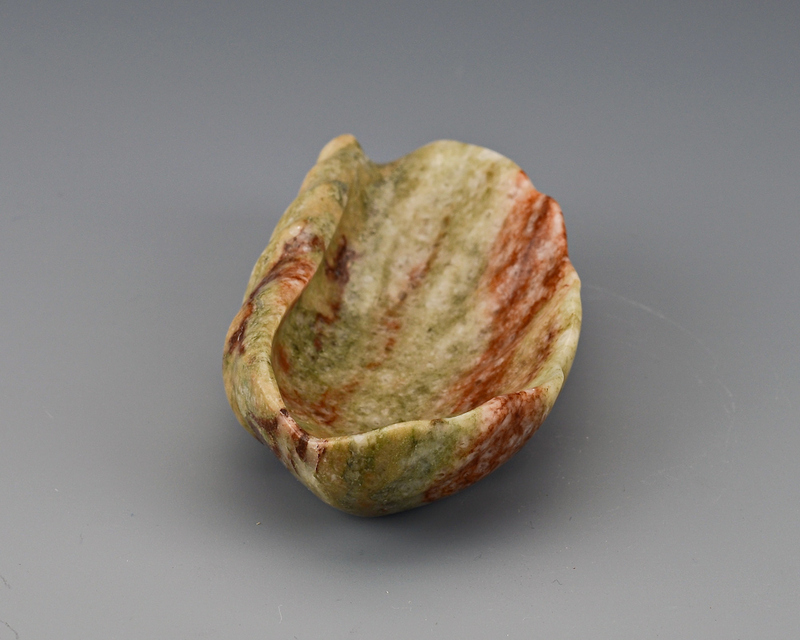 We finely carved the stone in the shape of a flower petal, to be used as a "Ring Catcher". 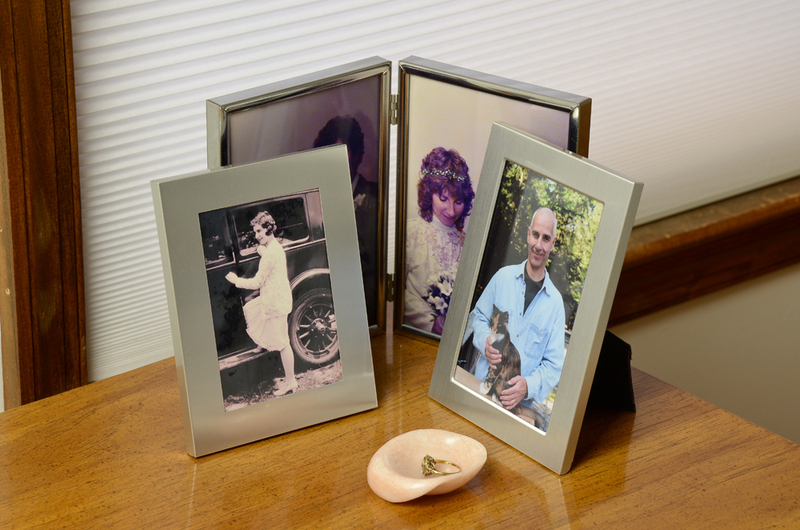 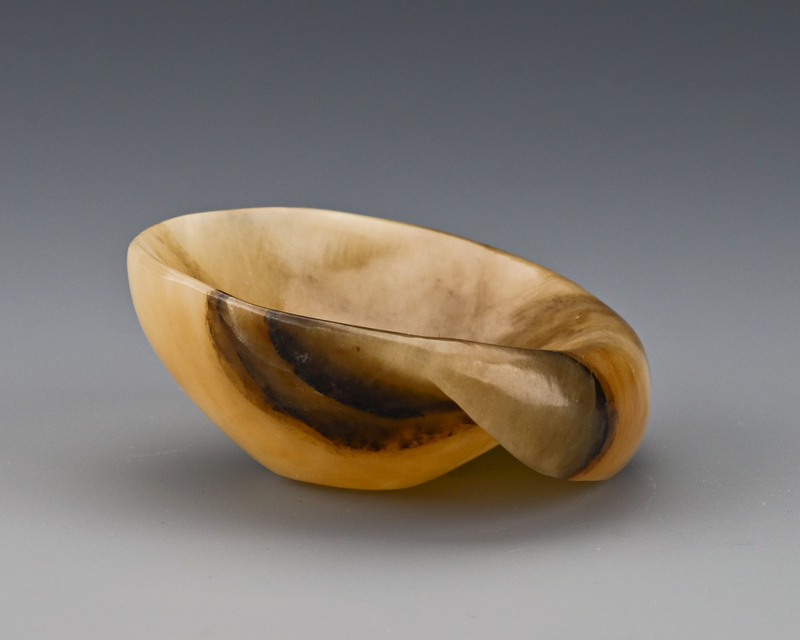 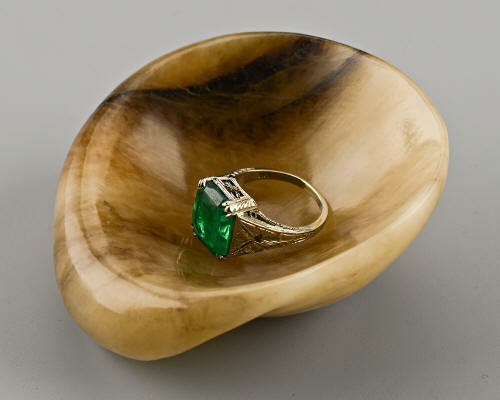 A beautiful piece for your bureau or night stand, to hold a ring or earrings. 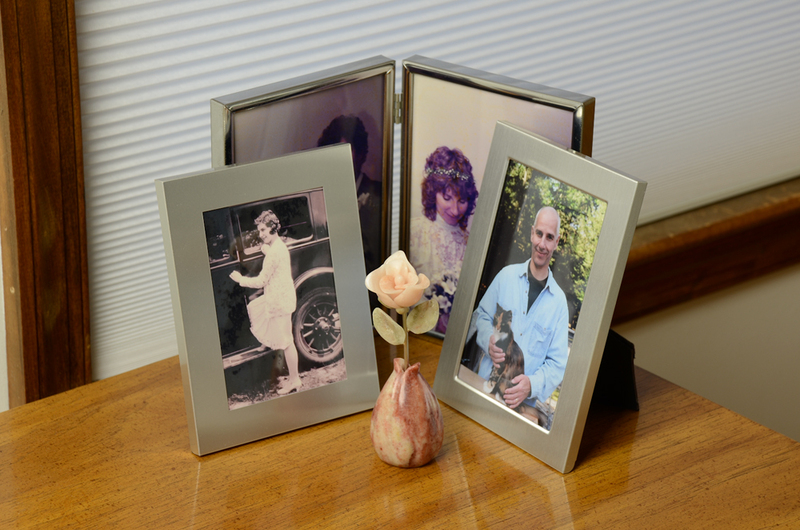 2 1/2" x 2 3/4" x 1"
2 1/2" x 2 3/4" x 1 1/8"
2 1/2" x 2 1/2" x 1"
2 1/2" x 2 3/4" x 7/8"
In creating our stone flowers, we first slice a block of stone into slabs, approximately one inch thick, depending on the flower. 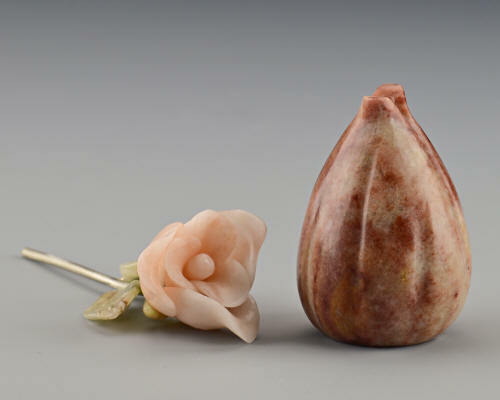 We then cut and carve each petal separately, making sure each piece fits together as we create the flower. 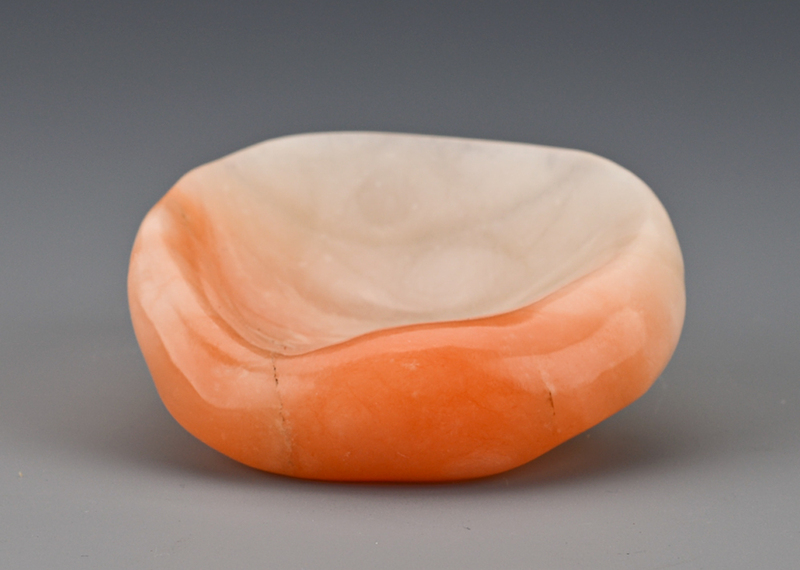 We apply a different finish, a wax or resin, depending on the type of the stone, to bring out the natural color of the alabaster. 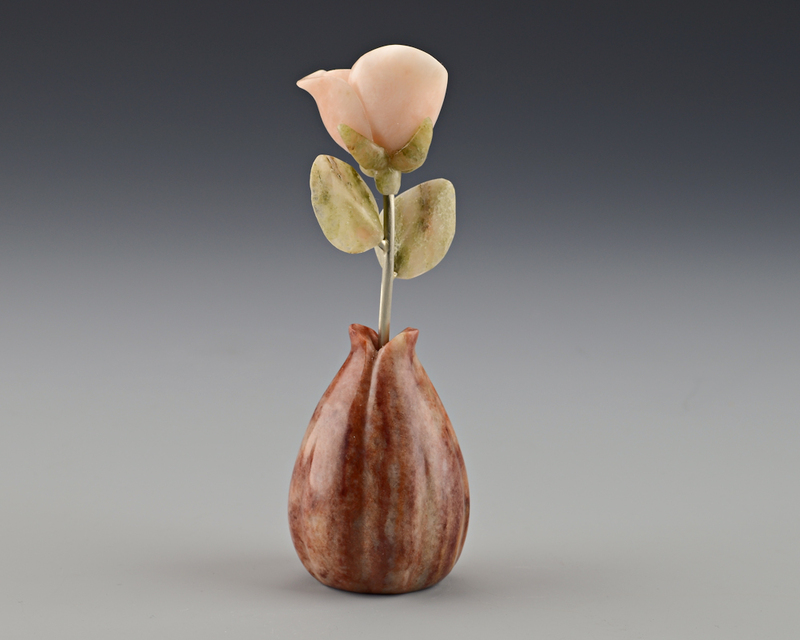 We feel this is a highly expressive and creative art form with new designs added on a continuing basis.